Custom built colonial home on secluded 10 acres land. The seller has rebuilt/remodeled this contemporary 3500sqft into a charming home: 4 beds/3.5 baths; Open floor plan with a beautiful fireplace in the great room; hardwood floors on first level; Cathedral ceiling with chandelier; Crown moldings; 2-ways staircase to bedrooms upstairs; Master suite features marble Jacuzzi, huge walk-in closet and bonus room ready to be your home theatre; Corian counter tops and gourmet kitchen; brand new stainless steel refrigerator and dishwasher; 2st floor laundry; New A/C and furnace, New interior paint; Huge deck in the back for your entertainment; Basement is plumbed for the 4th bathroom. Seller s willing to give buyer credit for a new stove and LF brand washing machine. 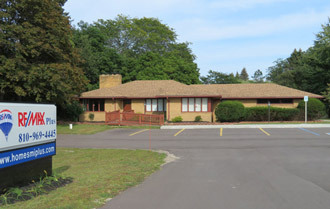 Property is located close to the shopping centers and highways. Plus, the property is zoned for 6 horses and barn. Make this your family home today.